Now in its third year, the IoT Startups Pavilion is for startups in the internet of things space to display their wares or software while networking with a highly technical enterprise audience. Startups may be geared towards hardware, video recognition, networking, cloud services for sensors, IoT security or automation and control or general IoT architecture. All industries and sectors are welcome. The startup pavillion is in a key, prime real estate area on the conference floor at Booth 606. Startups are invited to apply here. 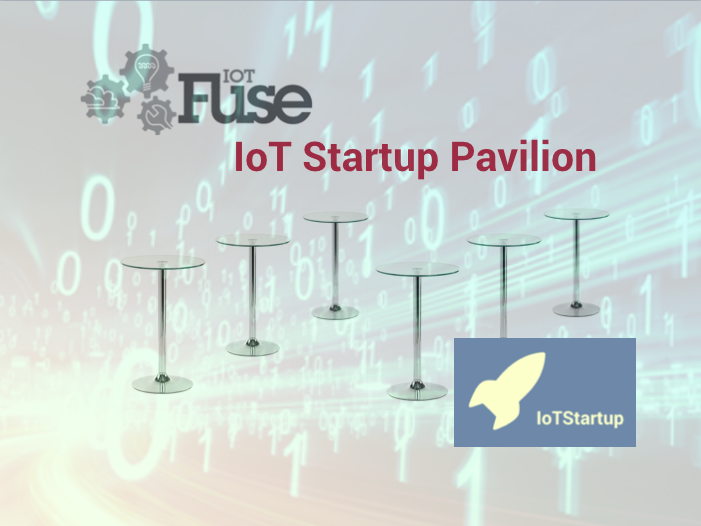 The IoT Fuse Conference takes place on Thursday April 25th, 2019 from 830AM to 5:30PM. Startup teams will be issued free desgnated startup tickets. You will not be expected to be at the conference at any given time. We understand that startups are busy. The floor and the pavillion are open to your use – our objective is to help you network. To those considering apply, thanks and we hope to see you there.